In July of 2015, Warner Bros. timidly announced that it was making another Green Lantern movie by sneaking a bit of concept art in between trailers for Pan and Suicide Squad during Comic-Con. Other than confirming that it would be called Green Lantern Corps, Warner Bros. barely acknowledged the project for over a year after that. Now, Warner Bros. has finally dropped some new information about the sequel/reboot, but the studio did it in a similarly quiet manner—suggesting that it’s either not very excited about Green Lantern Corps or that it’s anxious about the jokes Ryan Reynolds will make about it in the Deadpool sequel. 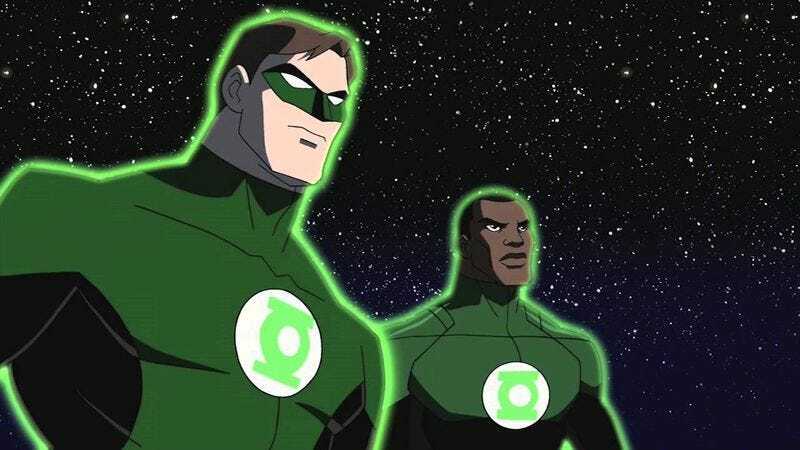 According to Deadline, the studio has enlisted longtime superhero movie writer David Goyer and relative newcomer Justin Rhodes to put together a script, with the film being billed as “Lethal Weapon in space.” Supposedly, Green Lantern Corps will revolve around Hal Jordan and John Stewart, the former being the guy Reynolds played in the last movie and the latter being a Marine who joins up with the Green Lanterns after a stint as the host of The Daily Show. Deadline says it’s “unclear” whether or not the studio would “reengage” with Reynolds, but it seems outrageously optimistic to think he would even consider it after how vocal he’s been about hating the previous movie. That means Warner Bros. will have to find another generically handsome white guy to play Jordan, which is going to be tough since most of them are already in the Marvel movies. Is Sam Worthington still around? He hasn’t played a superhero yet.